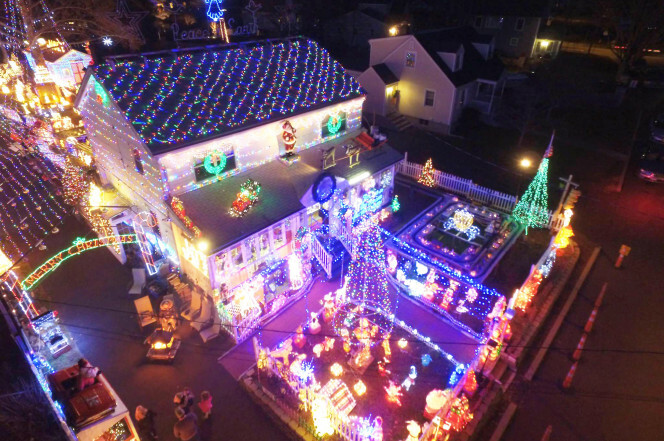 In one Connecticut town, the holiday spirit is taking a beating when neighbors are up in arms over a dazzling display of Christmas lights that draws thousands of visitors and raises cash for sick kids. The beautiful display features more than 300,000 lights, a model train, and scores of holiday figures. However, it also creates a traffic nightmare for some neighbors. They have launched a petition to shut it down or place restrictions on the display. “We’re not happy about it,” said Gene Halliwell, whose “Wonderland on Roseville” Terrace in Fairfield has become a beloved tradition over the past 18 years. Halliwell and his wife, Mary, charge admission to tour the house and yard, and, make a “significant” annual donation to the Shriners Hospital for Children in Springfield, Mass. Halliwell said shutting down the display would hurt local businesses too. Many families come to enjoy the lights also dine out at one of the many eateries along Black Rock Turnpike, a busy commercial strip. 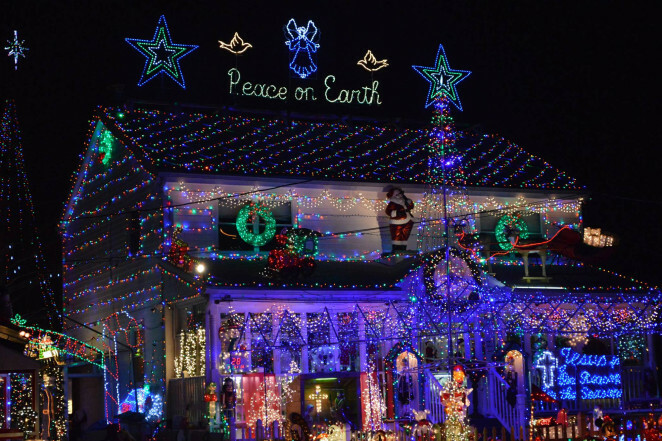 The neighbors said the display that opens on Thanksgiving and stays open nightly until 11 p.m. and shuts down on New Year’s Day, has created chaos and a traffic nightmare in the residential neighborhood. Nadine Losquadro, a neighbor submitted a petition with 45 signatures to the first selectman’s office. They are also working with the police department to control the traffic, which she said poses a danger to kids and elderly residents who live nearby. Losquadro said they are open to a possible compromise that would place a “no event parking” restriction on Roseville Terrace and nearby Sawyer Road. That would allow residents who live on those streets to still park there, but require visitors to park in any of the large lots on the commercial strip nearby and walk over to the display with the help of a crossing guard. However, the town cops threw cold water on the parking plan, and Maryann Halliwell, Gene’s daughter, wasn’t optimistic that a compromise could be reached. “We’re trying to figure out what to do. It’s probably our last year, it’s a real shame,” she said.